Something wonderful has come out of 2016 and I want to finally share it with all of you! 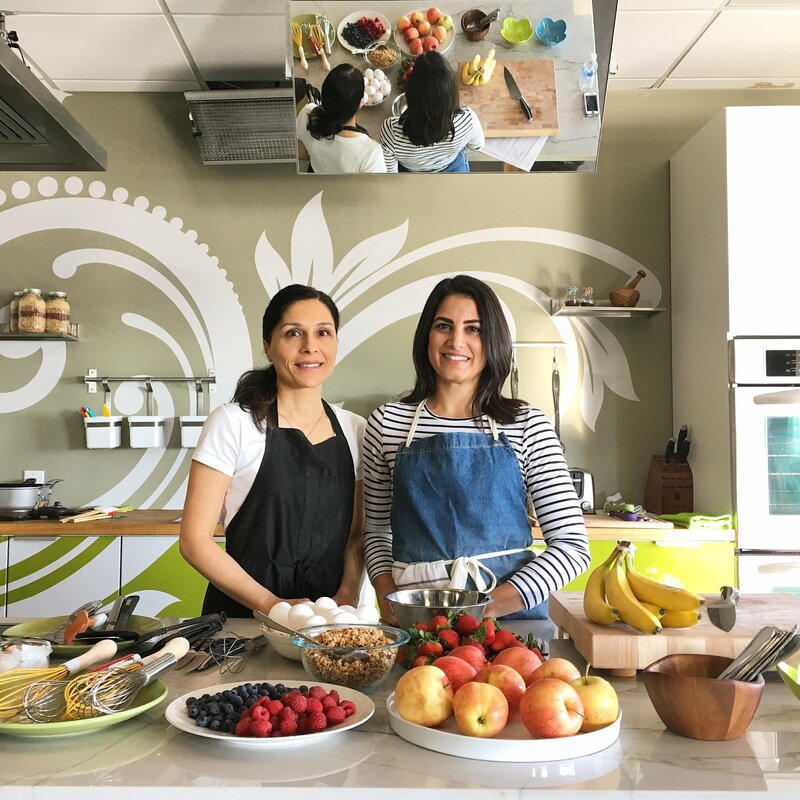 My incredibly supportive friend and mentor, Fina Scroppo, and I have started a project called “The Happy Kitchen Project” and it has blossomed beyond our wildest expectations! Fina Scroppo and I have been working together since about 2014, on private magazine publications. She has worked as an editor and writer for women’s lifestyle magazines, parenting publications and health and cooking books for 15-plus years, as well as authored her very own cookbook, The Healthy Italian. Fina has also taught loads of cooking and nutrition classes over the past 4 years. I wrote about her cookbook on my blog a few years ago – read about it HERE. She has also become a very important part of my life, helping me through the difficulties of raising a family and being your own boss (she’s got a lot of experience with these things). In January of 2016, Fina invited me to her spiritual book club. That night, a knowledgeable speaker was invited to talk about setting positive intentions and his insight set off a spark. Since 2016 was the year I set out to figure a lot out about myself, I decided to go and see if I would pick up any handy tidbits that I could use in my own life and business journey. Never did I think we would leave that evening with the greatest tidbit of all. Ever since that night, more than one year ago, we have poured our heart and soul into this project and we’ve joined forces to create The Happy Kitchen Project. With so much culinary experience under our belts and ahead of us, we decided to take the leap. 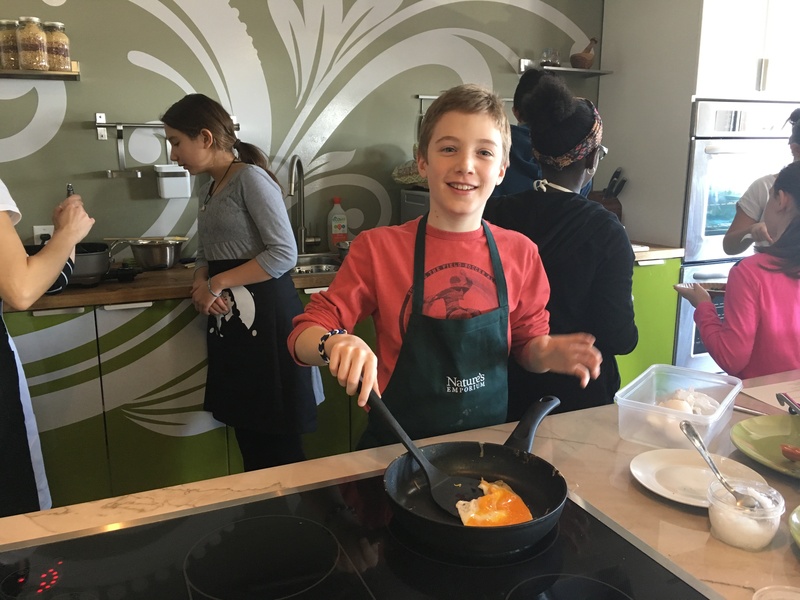 We researched everything to do with youth learning in general, then developed a program that we feel is revolutionary when it comes to teaching youth about food and cooking (it’s never been done this way before!) And, we’ve vetted our program with teachers, principals, parents, caregivers, private educators and even kids. We have tested our program on our own families, and we have spoken to basically everyone we know with kids in the age group of 5-16 years old and they all had the same amazing positive feedback – this initiative is so important and timely! We finally taught our very first official class as The Happy Kitchen a few weeks back at Nature’s Emporium in Newmarket. We were happy to have 8 to 10 kids attend but then we got word that a whopping 20 had registered! We had maxed out! While we were a little bit freaked out at first because this was our first time officially teaching our program to paying customers, we were ready. Everything went off without a hitch – we have our obsessive-compulsive planning and research skills to thank for that! We handed out a survey to the students and families for feedback, and we were expecting a few critical comments but the truth is, we only got one (we love kids for their honesty!) The rest was overwhelmingly positive. Most of the kids are eager and motivated to join another class – so the first thing we did was book another class to take care of the demand. The most gratifying moment was seeing one of the students sit down in front of her plate that she prepared herself and say, “Guys, can you believe we cooked this! 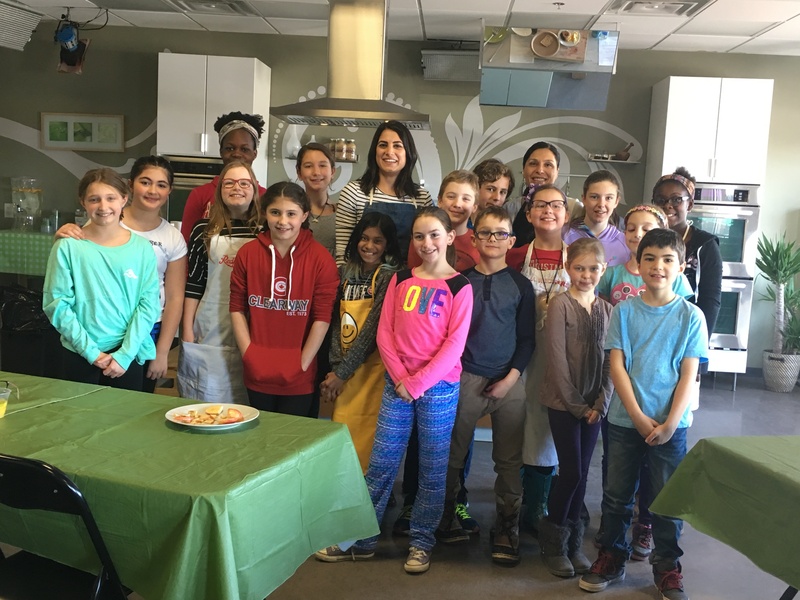 ?” It was a true testament to the power of our teachings and the difference we can make to empower kids to WANT to learn to cook. 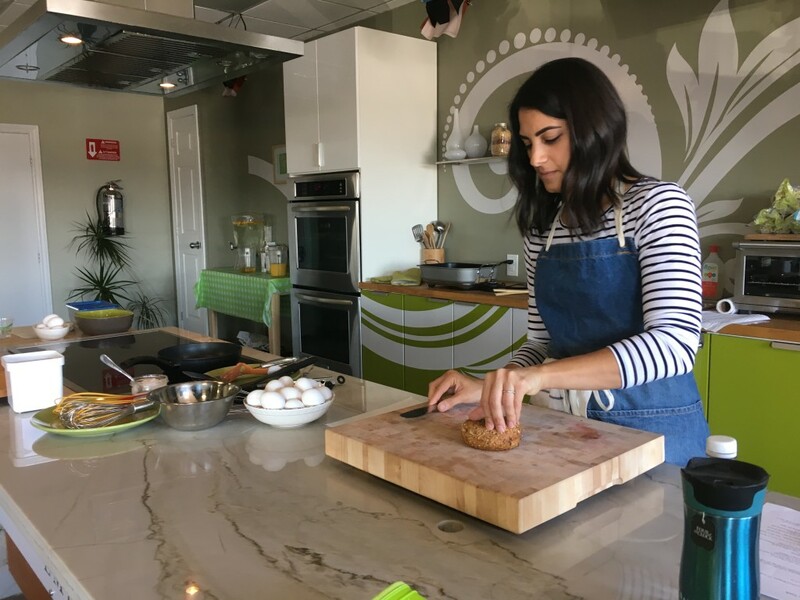 We are in talks with a major Ontario college to host these classes in a professional cooking lab – news about that is coming – and we will continue to post status updates on our channels. I send out a monthly newsletter about the projects I’m working on like The Happy Kitchen Project, and the work I do right here on my blog, so if you are interested in signing up, please do so HERE. Thank you to all of the amazing people who have chatted with us, offered us advice and given us this amazing opportunity to teach youth these incredibly important life skills — you are all our motivation for forging ahead with this project! 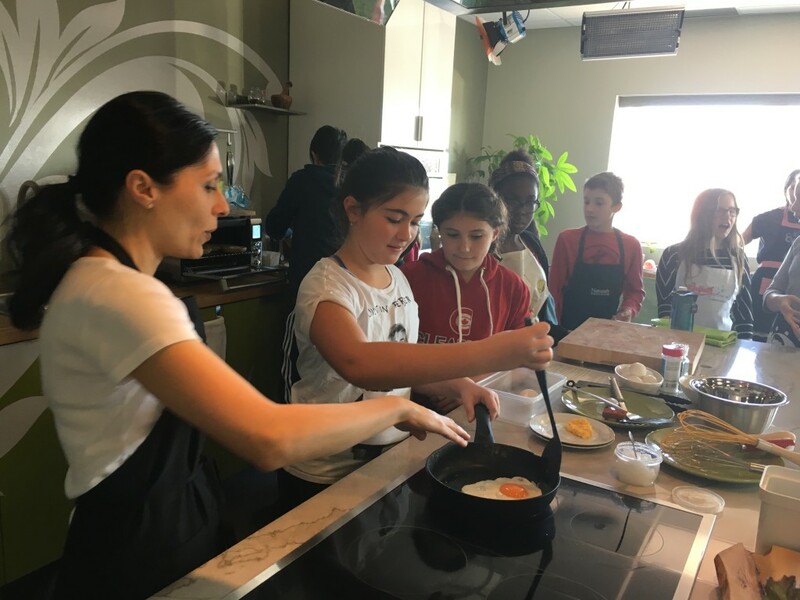 If you want to learn more, or you’re interested in bringing The Happy Kitchen to the youth in your life, please contact me at Julie_miguel@outlook.com.